It’s that time of the year again when I acknowledge my Greek heritage and schlep the family to the Sts. Constantine and Helen Cathedral in downtown Brooklyn for some fabulous food. It’s all about the lamb and potatoes, sticky Greek baklava and kataifi and the loukoumades dripping with syrup, made by tireless Greek mothers and grandmothers lurking in our community. 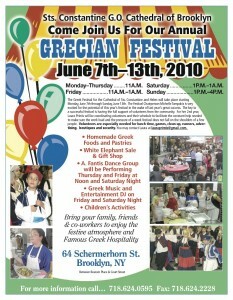 They work hard through this festival, feeding masses of Greeks and non-Greeks alike. 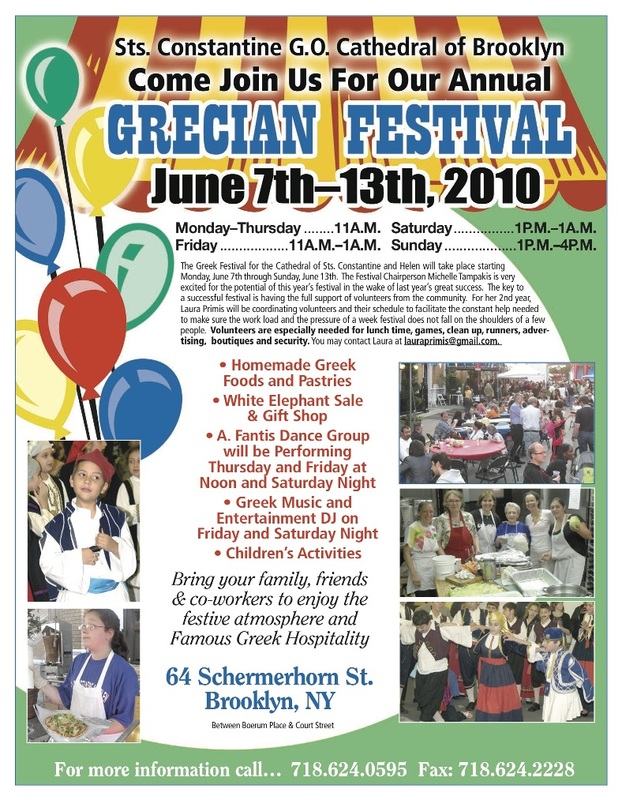 Every year, as I am noshing on lamb and missing my own mother and grandmother’s cooking, I vow to go to church more and become a part of Brooklyn’s Greek community. And then another year rolls by and so it goes. Thank goodness for the annual festival to serve as a reminder to me of where I came from – before the Australia and New York parts that is. Oh, and if the Greek food and dancing doesn’t lure you, there are carnival rides and sideshows to captivate the kids and empty your pockets too. The festival is at 64 Schermerhorn St. until June 13. It opens weekdays at 11am, and 1pm Saturday until late, and Sunday 1pm to 4pm.